Keep members coming back by rewarding them daily for the simple task of logging in. 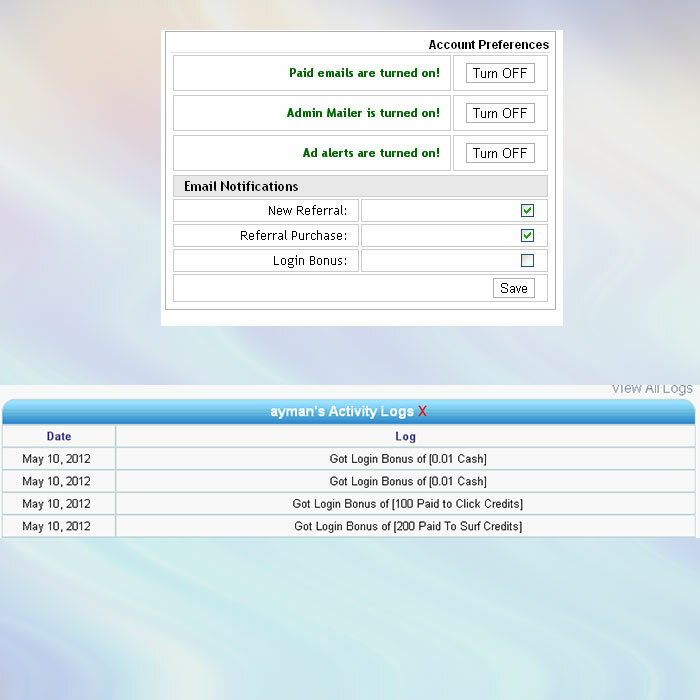 Optional email notification to member each time rewarded is applied to their account. Varying bonus levels for free and upgraded members. 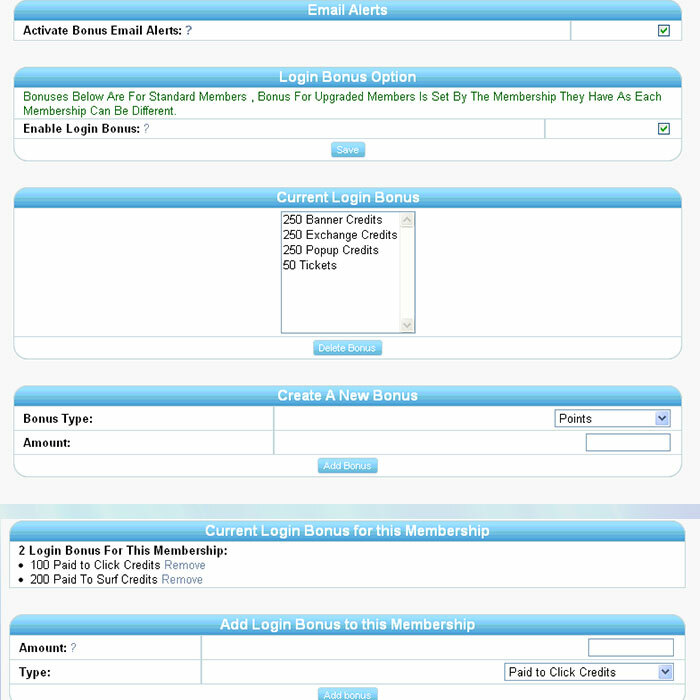 View bonuses rewarded in both site logs and a members profile. Members are able to turn off login bonus notification emails. Addon can be enabled and disabled directly through the admin panel.